Learn how you can use a super zoom lens to cover an amazing range of the focal length spectrum in this lesson. 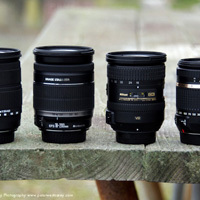 Setting the Standard: What's a Standard Zoom Lens? Learn more about the benefits and limitations of the standard zoom lens in this video lesson. Learn the advanced features of a camera lens and how they affect the finished image in this video lesson. Learn how to add a faux-zoom to our drone footage in post-production using Adobe After Effects.